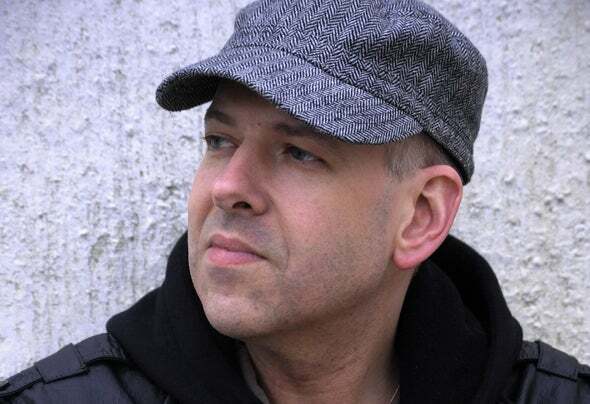 Stefan Robbers has earned considerable respect, both in the Netherlands and abroad, as one of the most versatile and productive musicians in the field of electronic dance music. His project Acid Junkies has released 5 albums and many singles (Djax-up- beats) and Stefan performs at parties and festivals all over the world. In addition, he’s been responsible for dozens of releases, evenly spread over a number of musical alter egos. His techno productions appeared under the names REC (Djax-upbeats) and Con Man (P.i.a.s. ), while more melodic techno music was released under the aliases Terrace (Djax, Eevo Lute) and Florence. He also records experimental music under the name Sierra Romeo.Mike Banks, frontman of Underground Resistance and not known to be very sympathetic towards his white European colleagues, described Robbers respectfully as ‘’our brother over there’.English dance magazine Mixmag refers to him as ‘’Eindhoven’s own microchip Mozart’’ and Gert van Veen, founder of Quazar and music journalist, described his colleague as ‘’one of the most consistent producers of the continent.’’Throughout the years, Stefan has carefully spread out his creativity over a number of musical alter egos. He saved his purest, most minimal productions for REC and Con Man, while the more accessible, melodic and melancholic techno was released under the Terrace name. Florence stands for heavier, more layered and overall riper material. Experiments with the Roland TB303 bass synthesizer found their place in the live shows and jam sessions of the Acid Junkies, together with Harold de Kinderen. With the Acid Junkies, Stefan played parties and festivals all over the world. From Brazil, Finland, Japan, and Spain to Switzerland, USA, Canada, England and Scandinavia. The Dutch paper De Volkskrant wrote about the Acid Junkies: ‘they are one of the most well known bands in the entire club/dance scene. The Acid junkies’ primary goal is always the same: burning down the house.’’And since 1992 he has operated Eevo Lute Muzique, a record company specializing in abstract and modern electronic music in its broadest form. The label has brought forth over 40 releases during recent years. After a refreshing pause in the period 1998 to 2001 the label resumed its activities last year, with renewed energy and lots of good music on the way! EevoNext is a fully digital web label emerging from the fundaments of Eevo Lute Muzique, one of the most influential techno labels from the Netherlands. Started in November 2006, it brings a bi-monthly release of a featured artist as a high quality download with emphasis on quality and playability. Available from the EEVONEXT.COM web store and established online stores like iTunes, Beatport and others.Stefan’s integrity and artistic qualities earned him a solid reputation in the techno community. Names like Armando (Chicago), Ron Trent (Chicago) Sven Vath (Frankfurt) and Speedy J (Rotterdam) asked him for remixes of their songs. Detroit’s own boy wonder Carl Craig entrusted Eevo Lute with his most delicate techno tracks. Robbers’ other projects include a concert with a 30-piece symphony orchestra in Jyvaskyla (Finland), a multimedia live show accompanied by video projections for the Tokyo based arts collective Ambient Web, Dutch National VPRO Televisions’ Moondive project and collaboration with a renowned Dutch theatre company for live music & acting performances.Over the last years, having the urge to have a more hands-on experience, and enjoy the outcome of coincidental musical harmony, Stefan reverted back to using more hardware music equipment and came up with the idea to have a more dubby approach of creating music. The album Face Infinity was composed this way, with help from fellow composer and producer Fraknoise, who played the melodica and bass guitar parts on various tracks. Also cofounder and long time best friend Wladimir M. joined in on a track, dedicated to the city we all live, work and rest in.To spread the word about his label and music, Stefan has developed an inspiring solo live set that he brings under his techno-alias Terrace. This varied musical performance kicks off in a melodic vein and gradually evolves into a total electronic dance music experience. Not only are his melodic Terrace recordings from past and present featured, the set also contains a selection of his best works under other aliases Florence and R.E.C and of course his Stefan Robbers releases on the UK-based Ifach label (owned and operated by Baby Ford) and the 100% Pure label. The live set brings the audience an hour of energetic, funky electronic music: From Detroit to Eindhoven with a smile.